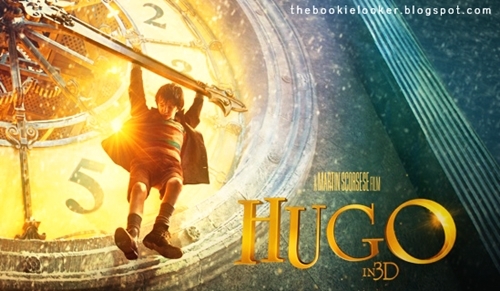 The main character in the movie, Hugo, was played by Asa Butterfield. I have to say, from the first sight, he does look like an abandoned boy living a difficult and lonely life. His appearance tells it all. I think this little boy captures the character really well. 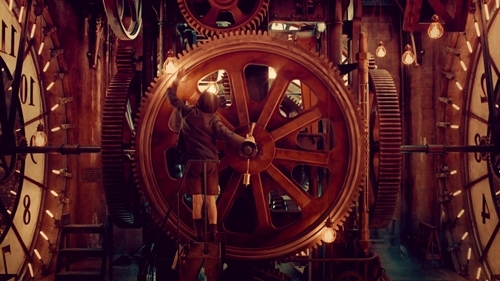 One lacking thing for me is when he acts sad and emotional when he saw the automaton didn't work the way he expected it. Other than that, I think he did an incredibly good job in portraying Hugo's character! 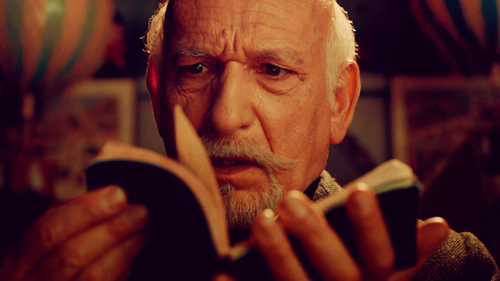 The next main character would be Georges Méliès played by Ben Kingsley. He has that charisma and the look of a wise old man, who have gone through so many bittersweet experiences in life. He's such a great character, both in the book and the movie. And I was both shocked and happy at the same time when I saw Jude Law as Hugo's Father. I was not expecting that, so I was really happy and he's really good-looking *I don't really know what I'm talking about*; unfortunately his character only showed up like 3 minutes or so.